Last September, for my sixieth birthday, our family spent a few days at the beach. 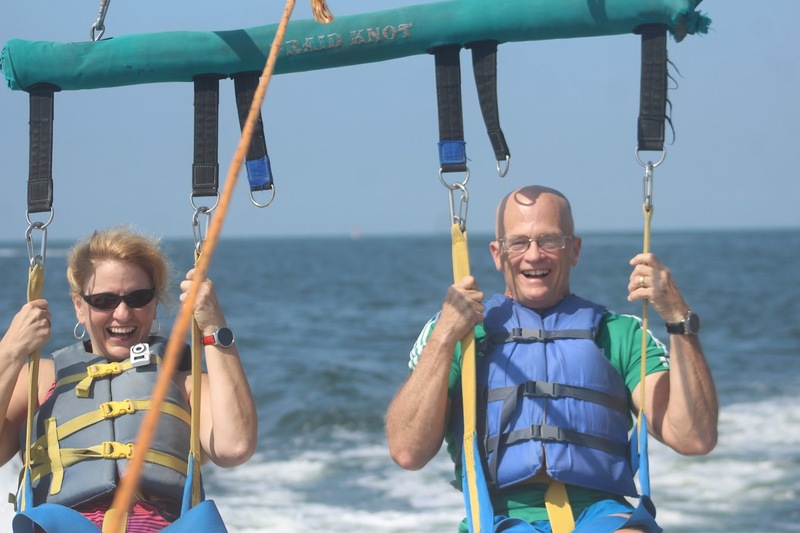 One of the things we had decided to do on my birthday was to go parasailing. We set out that morning with our daughters and our two oldest grandchildren, aged eleven and ten. 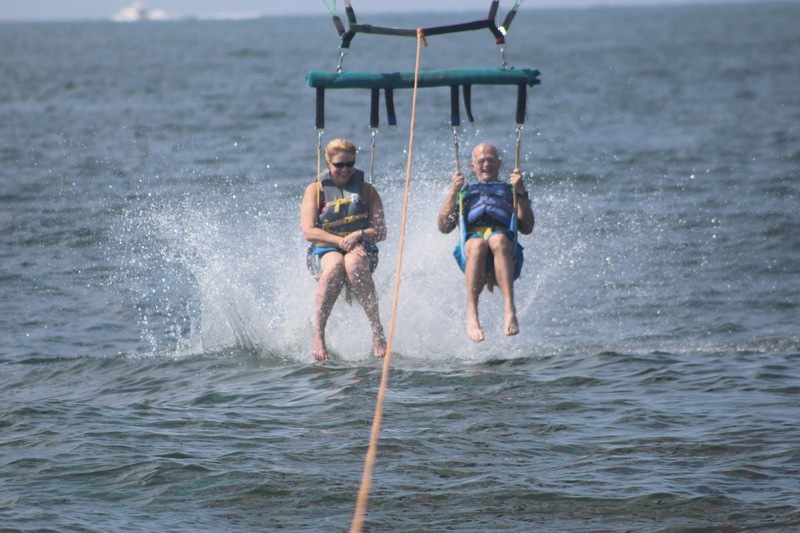 None of us had parasailed before and we did not tell our grandchildren where we were going until we reached the dock. They were thrilled when they realized what we were going to do and even more thrilled when the sail lifted them off the deck of the boat. 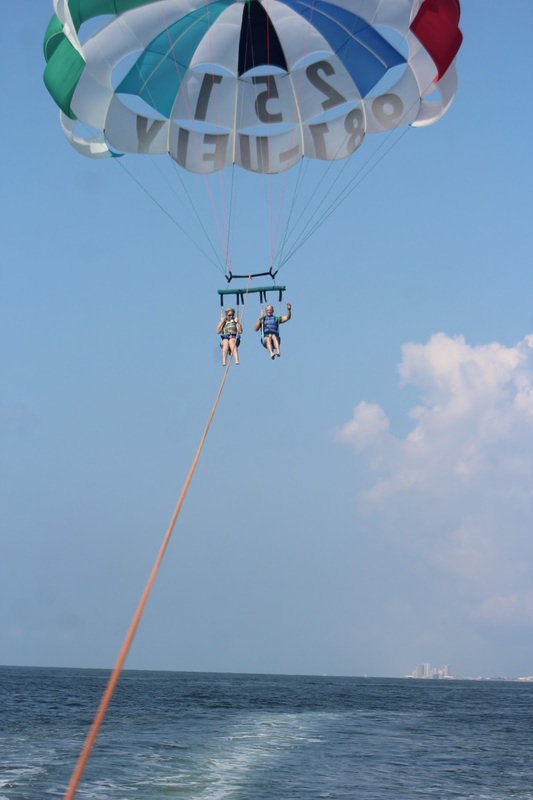 Our experience of parasailing was so different than what I had expected. I expected the deck of the boat to be slippery and it was not. I expected the lift-off to be abrupt and rough and it was not, it was as smooth as silk. 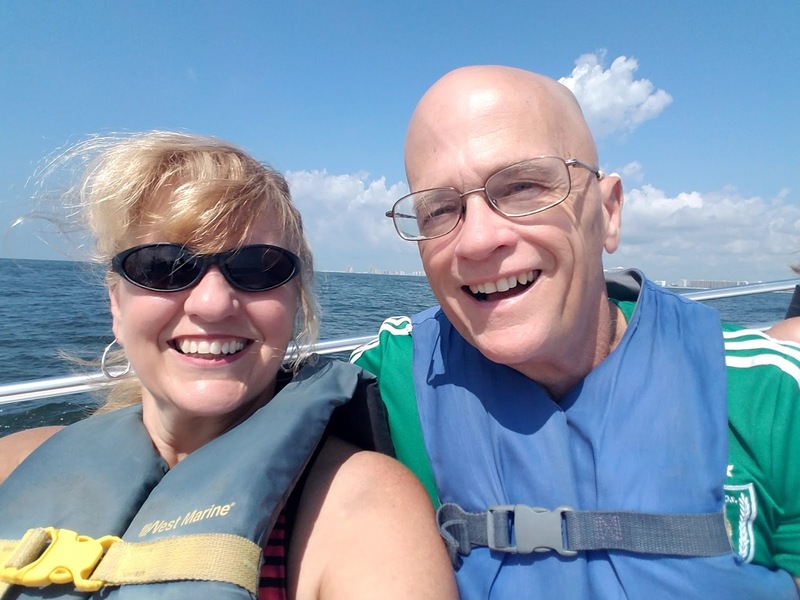 I expected to feel unstable and unsteady as the sail lifted us up, and it was not. I felt comfortable and safe. I fully expected to trip upon coming back to the boat and I didn't. In fact, the crew were so expert at what they do we were just gently set upon the deck of the boat. The thing which surprised me the most was the sound. I expected to hear the roar of the boat's engine, the rushing of the wind and perhaps some sounds of the water below. I heard none of that. All I heard was peace. Peace and quiet. Glen and I chatted while being pulled high above the water. We remarked at the sharks and manna rays visible in the water below. Mainly we enjoyed the absolute quiet. While I expected the experience to be enjoyable I also expected it to be filled with nervousness and perhaps even a degree of anxiety and it was not. It was peaceful and calm, and a lot of fun. It reminds me of how I believe our transition from this life to life eternal will be. We each have our preconceived notions of what that will be like and I am quite sure all of us are wrong to some degree. The one thing I know is that it will be full of peace. How could we go from living in these bodies of flesh to living in the spirit, "hid with Christ in God" and not experience "peace which passeth all understanding." We should not look toward that day with fear or dread, but with great expectation, knowing that our very best days are ahead of us. the things which God hath prepared for them that love Him.' "